John Krasinski's A Quiet Place features what is arguably one of the most ingenious horror movie premises to come along in years. Set in a post-apocalyptic near future, humans are hunted by blind creatures that hunt using their extremely acute hearing. If you make a sound, you die. It is into the world that the film drops us, with only the faintest hints at the disaster that created it. This is the daily reality for its characters now, and the audience is left to fill in the blanks with their imaginations. That is perhaps Krasinski's greatest achievement here, bringing the idea of imagination back to mainstream cinema and using it so very, very well. We never do really get a good look at the creatures in full; Krasinski reveals them slowly, filming them in quick flashes or in pieces. First we just see a spindly arm, then a mouth, rarely the entire thing all at once. Krasinski understands that what we don't see, or in some cases hear, is far more frightening, and his use of sound as a dramatic device is brilliantly realized. Krasinski himself stars as Lee Abbott, alongside his real-life spouse Emily Blunt as Lee's wife, Evelyn. Lee and Evelyn are two parents struggling to raise a family in a newly sound-free world. Their daughter, Regan (Millicent Simmonds), is deaf, which in this world is both a blessing and a curse. The family all speaks sign language (which comprises much of the film's dialogue), but Regan cannot hear if a sound has attracted the monsters, so Lee spends his days trying to perfect her hearing aids. Evelyn is also pregnant, and as the baby's due date draws near so too does the threat that the creatures may hear her, and soon the entire family is running for their lives as the mysterious monsters converge on their farm. If they can stay silent they will live, but make one sound, and they will all die. A Quiet Place feels a bit like a modern Hitchcock, with Krasinski building tension through sound (or lack thereof). Much of the film is totally silent, the dialogue spoken in sign language, the only sound coming from the rustling of trees and grass, or Marco Beltrami's hushed score. This creates an almost unbearable sense of dread, keeping us on the edge of our seat waiting for the next burst of sound. By its very nature the film is rife with jump scares, but they're judiciously used and perfectly in tune with the story. The film that it reminded me most of, however, is M. Night Shyamalan's Signs. The mysterious creatures, the farm setting, the creature's ultimate weakness, hews very close to the plot of Shyamalan's 2002 hit. The very premise sounds like the kind of thing that would spring from Shyamalan's imagination. And yet Krasinksi actually does Shyamalan one better. 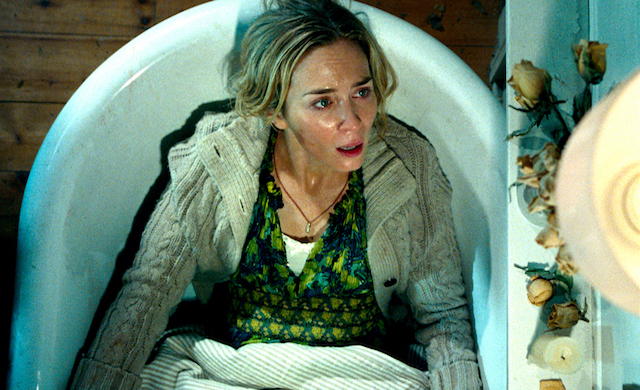 Whereas parts of Signs felt like a gimmick, A Quiet Place uses its high concept premise to the fullest. Its scares never feel cheap, its emotion never feels unearned. It's a remarkable achievement, both conceptually and artistically, a tightly controlled thrill ride that expertly builds tension in a dazzling highwire act of suspense. Krasinski uses classical Hollywood techniques to craft something that feels thrillingly unique, a bold formal experiment that pays off in spades. Once this thing gets its hooks in you it doesn't let go, and Krasinski has now firmly established himself as an exciting new filmmaker to watch. 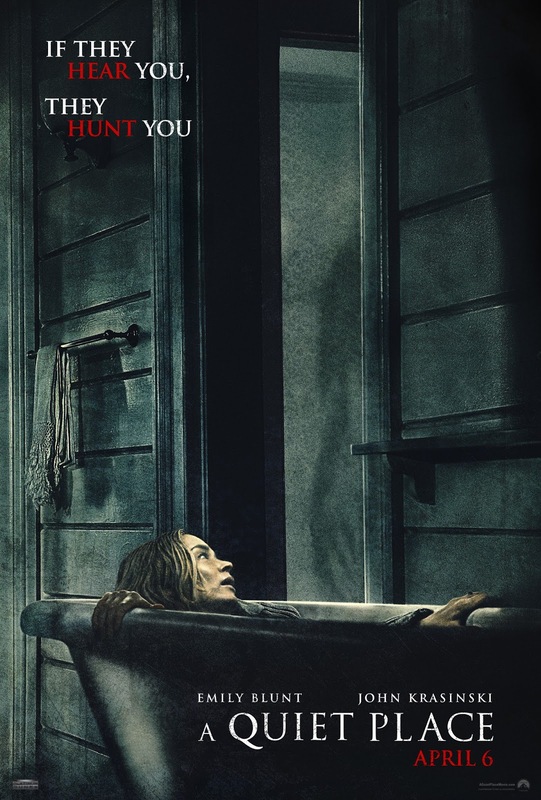 A QUIET PLACE | Directed by John Krasinski | Stars Emily Blunt, John Krasinski, Noah Jupe, Millicent Simmonds, Cade Woodward | Rated PG-13 for terror and some bloody images | Now playing in theaters everywhere.